For the past two months, it has been a hotly debated topic in Denver. And for the near future, at least until the team makes a definitive announcement at some point between now and the Broncos first playoff game, it will remain the most-polarizing subject in the Mile High City. But there really shouldn’t be much to argue about. 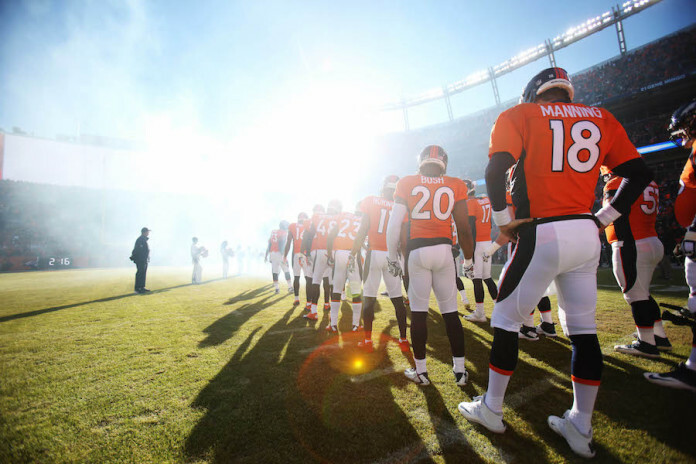 For the rest of the season, however long that is in Denver, Peyton Manning should be the team’s starting quarterback. And Gary Kubiak agrees. Or so it seems. While the official announcement on the topic might not come for a few days, although the head coach would be smart to quell the speculation as quickly as possible, there really shouldn’t be much doubt about which way things are going to go. Kubiak showed his cards during the third quarter of yesterday’s game against San Diego. As soon as it became clear that the Broncos were going to fall behind in a game that they had to have in order to not only secure the No. 1 seed in the conference but also avoid blowing a five-game lead in the AFC West, Manning was warming up on the sidelines. And the moment the Chargers took a 13-7 lead midway through the third quarter of a must-win game at Sports Authority Field, the 18-year veteran was trotting onto the field to reassume his position directing the Broncos offense. That decision tells everyone all they need to know about how Kubiak feels. With the season on the line, he wasn’t about to lose a game while Manning stood on the sidelines as a bystander. With the inside track to Super Bowl 50 hanging in the balance, the head coach was most comfortable entrusting Denver’s fortunes to someone who hadn’t taken a snap since Nov. 15. There’s no reason to believe that either of those beliefs will change in the next two weeks. The Broncos have home-field advantage throughout the playoffs, putting them just two wins in Denver away from a trip to Santa Clara. They also possess a championship-caliber defense, a unit that is good enough to keep them in every game they play. It’s hard to imagine them blowing that opportunity while No. 18 holds a clipboard; if they’re going to come up short, it’ll be with the future Hall of Fame quarterback at the helm. That’s not a knock on Brock Osweiler, just like it wasn’t yesterday when the young signal caller got the hook. During his seven starts, the potential “quarterback of the future” in Denver has shown a lot of promise; he’s been so good that Kubiak gave him the start against the Chargers despite Manning being healthy enough to play. And against San Diego, Osweiler was fairly good; he finished the day 14-of-22 for 232 yards and a touchdown. But when the Broncos turned the ball over for a fifth time during their first possession of the second half, Kubiak had seen enough. While Denver’s dismal seven-point performance at that point in the game wasn’t entirely the fault of the quarterback – fumbles, tipped passes and missed blocks were the main reasons for one derailed drive after another – the head coach wasn’t going to waste any more time waiting to see if Osweiler could right the ship; as soon as Denver fell behind, Kubiak turned to Manning for a spark, bailout or whatever else he was seeking. The logic for making that switch is the same that should apply when it comes time to make a decision about the starting quarterback for the playoffs: Losing with Manning on the bench would be more unforgivable than losing with Osweiler on the sidelines. The latter could be explained, while the former would lead to second-guessing for years to come. Of course, that’s not the only rationale for making the switch back to Manning. There are plenty of reasons beyond being able to live with a negative outcome that point toward No. 18 returning to the lineup. For one, the veteran quarterback is finally healthy, or at least as much as he can be at this point in his career. After spending the past seven weeks rehabbing his injured foot, Manning is free of the bumps and bruises that normally plague players this time of year. Meanwhile, Osweiler is nursing a bad shoulder, sore elbow and various other ailments. In addition, Manning would enter the playoffs with a huge chip on his shoulder. 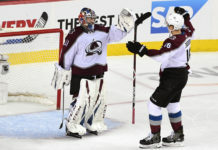 While motivation might not seem like something that should be necessary in the postseason, last year’s Broncos proved that not being focused can lead to a quick exit. After a year that included a forced pay cut, an interception-laden start to the season, missed time due to injuries and his first stint as a backup quarterback in the NFL, Manning will be looking to put it in all in the past with what would be one of the most storybook endings to a season in league history; he’ll be laser focused. And finally, the veteran will provide Denver with valuable experience during a postseason run that could see matchups against the likes of Pittsburgh and New England, teams led by quarterbacks who have combined to win six Super Bowls. The Broncos will need someone on their side who will be equally unfazed by the situation, a player who is used to being on the league’s biggest stage. So while the speculation is sure to swirl in the coming hours, days or perhaps even week, Denver’s version of “The Decision” shouldn’t be filled with much drama. The smart option is Peyton Manning, the quarterback Gary Kubiak called upon yesterday when he absolutely, positively had to get his offense on track. At this point, it’d be shocking, puzzling, confusing and amazing if he went in the other direction in the biggest game(s) of the season.